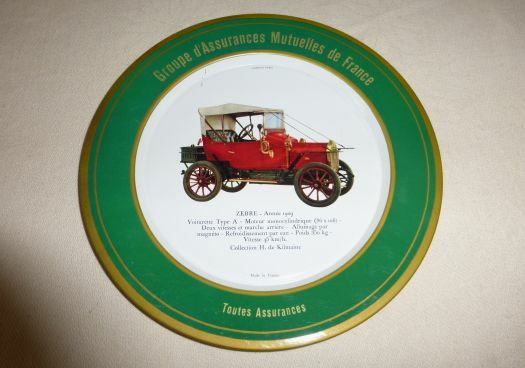 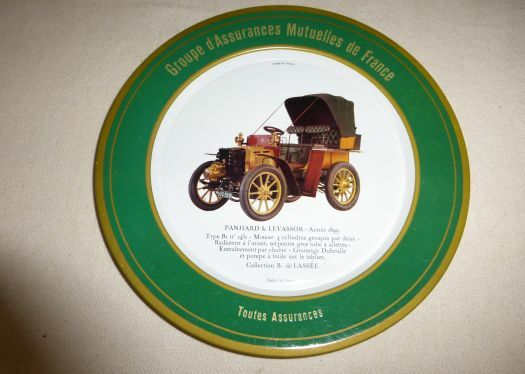 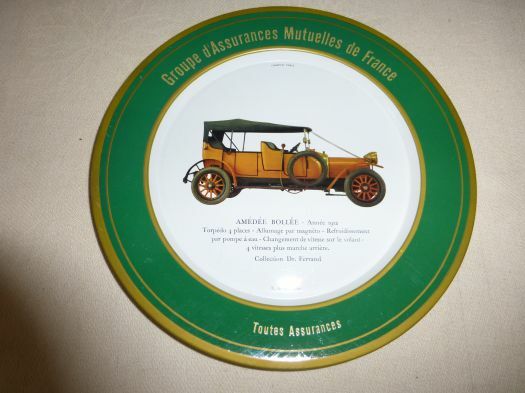 4 plates in metal, made around 1970, with an advertising for an insurance company. 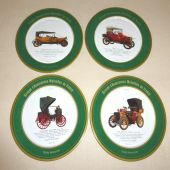 There is a different pattern on every plate, with an old car around 1900. 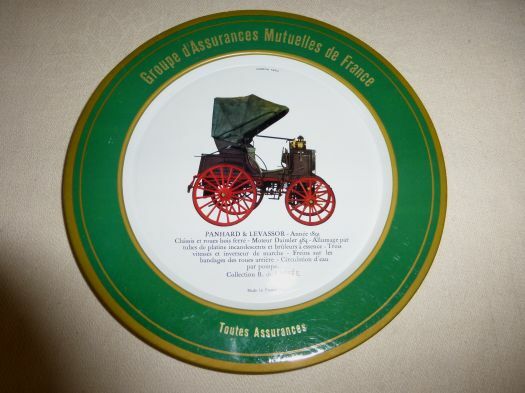 Good condition, diameter 20,3 cm.